Some are mild mannered geeks, others mad geniuses or street-smart city dwellers driven to action. These are the men and women behind the masks and tights of America's most beloved superheroes. But these aren't the stories of the heroes' hidden alter egos or secret identities...these are the stories of their creators! 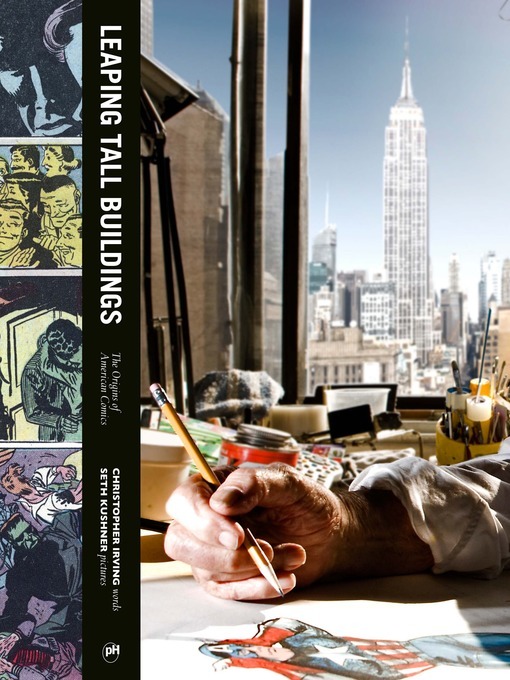 Leaping Tall Buildings: The Origins of American Comics gives you the truth about the history of the American comic book—straight from the revolutionary artists and writers behind them. From the founders of the popular comics website Graphic NYC—writer Christopher Irving and photographer Seth Kushner—comes the firsthand accounts of the comic book's story, from its birth in the late 1930s to its current renaissance on movie screens and digital readers everywhere. Kushner's evocative photography captures the subjects that Irving profiles in a hard-hitting narrative style derived from personal interviews with the legends of the art, all of which is accompanied by examples of their work in the form of original art, sketches, and final panels and covers. The creators profiled include Captain America creator Joe Simon, Marvel guru Stan Lee, Mad magazine's fold-out artist Al Jaffee, visionary illustrator Neal Adams (Batman), underground paragon Art Spiegelman (Maus), X-Men writer Chris Claremont, artist/writer/director Frank Miller (Sin City, 300), comic analyst Scott McCloud (Understanding Comics), American Splendor's Harvey Pekar, painter Alex Ross (Kingdom Come), multitalented artist and designer Chris Ware (Acme Novelty Library), artist Jill Thompson (Sandman), and more. Leaping Tall Buildings, like comics themselves, uses both words and images to tell the true story of the comic's birth and evolution in America. It is a comprehensive look at the medium unlike any other ever compiled covering high and low art, mass market work and niche innovations. It is the story of an art form and an insider's look at the creative process of the artists who bring our heroes to life.